But when Bartó disappears — along with all the music composed for the imperial visit — the Kapellmeister is forced to don the role of Kapell-detective, or risk losing his job. Before long Haydn's search uncovers pieces of a disturbing puzzle. Bartó, it appears, is more than just a petty thief — and more dangerous. And what seemed like a minor musical mishap could modulate into a major political catastrophe unless Haydn can find his missing virtuoso. 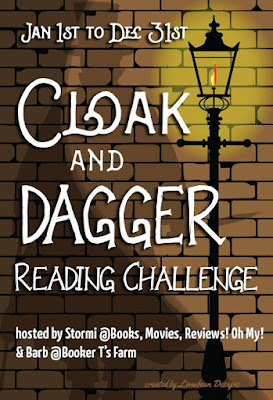 This challenge is hosted by Stormi at Books, Movies, Reviews. Oh My! and Barb at Booker T's Farm. I don’t know about you but I seem to gain more series than I finish, so think I am going to make 2017 the year of finishing some series! 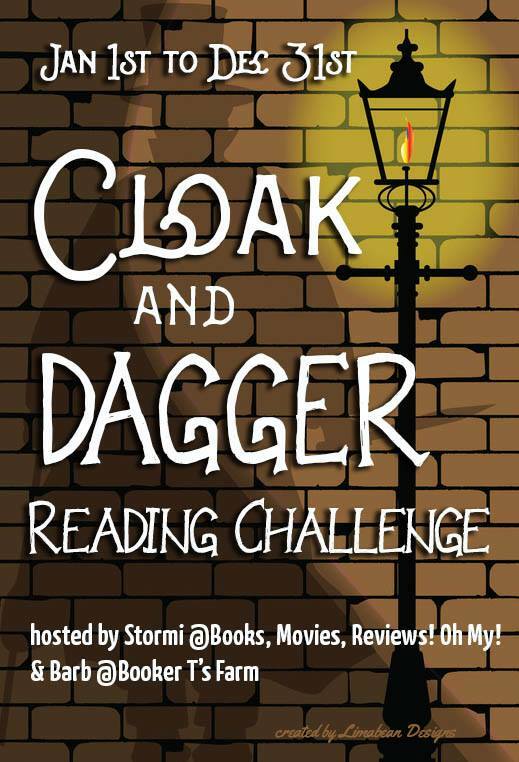 🙂 To help along with that Barb and Thought we would make a mini challenge within the Cloak and Dagger challenge. 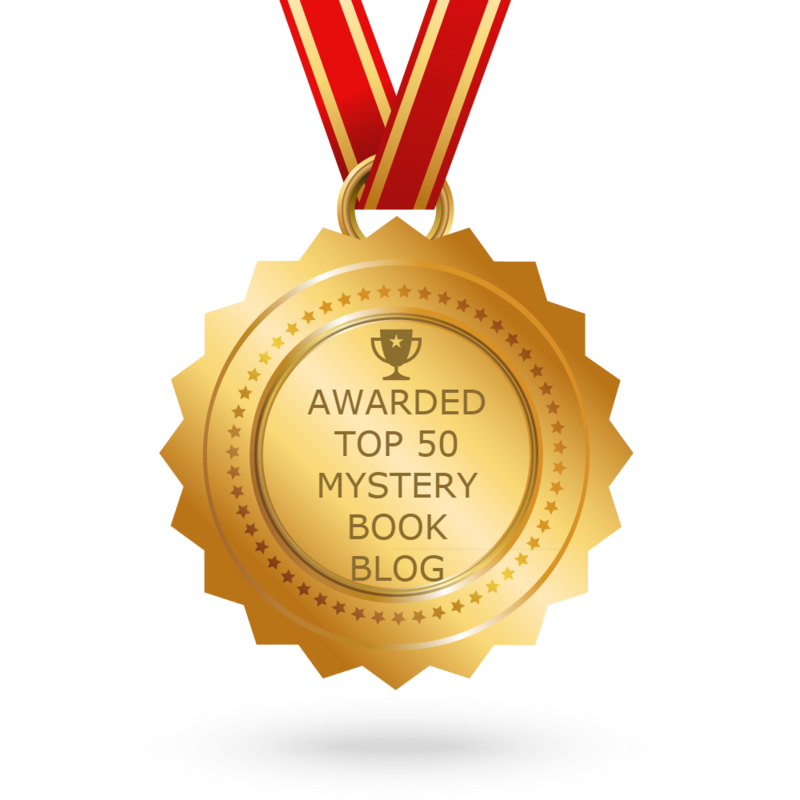 I signed up at the Special Agent level, to read and review 36-55 mysteries / suspense / thrillers. I'll list my progress here. 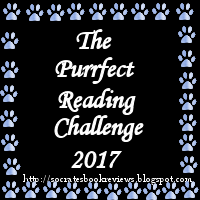 The Purrfect Reading Challenge is hosted by Yvonne at Socrates' Book Reviews. 7. To sign up, choose one of the levels from the above list and use the Mister Linky here. There will be links for reviews and wrap posts later. I signed up for Purring and will read 10 books. I'll list them here throughout the year. 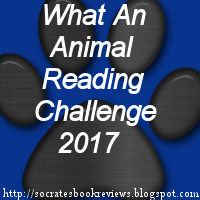 What an Animal Reading Challenge is hosted by Yvonne at Socrates' Book Reviews. Welcome to the 2017 What an Animal Reading Challenge. I began hosting this challenge in 2010, when I took it over from Kristi at Passion for the Page. I love reading books that feature animals and am going to host this one again. I hope you will join me. 10. To sign up, use the Mister Linky here. There will be links for reviews and wrap posts later. I signed up at Level Four, to read 21+ animal-related books. I'll list my progress here. 3. You can Feed Your Need To Read with print, digital or audio books. 4. You do not have to post a review but the authors would appreciate it if you did. 5. You do not need to have a blog to participate. Just keep track of the books you've read, any way you wish. You can even set up a special shelf on Goodreads to help you keep track. 6. If you do have a blog, take the button above, put it on your blog and post about the challenge. 7. Follow Escape With Dollycas Into A Good Book for cozy giveaways and reviews. 8. There is also a Craving for Cozies Facebook Group. Everyone can share and discuss the cozies we are reading. Just click here to join. Lori will also host some pop-up giveaways during the year. 9. Please share with us the books you are reading all year long, by leaving comments here or on the Event page on Facebook. 10. No matter how you enter or keep track, when you complete this challenge, please FILL OUT THIS FORM no later than January 15, 2018. I signed up at the Voracious level, to read 81-100 cozy mysteries. I'll list my progress here. 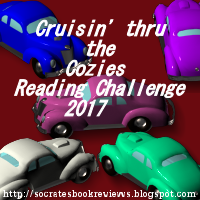 Cruisin' thru the Cozies Reading Challenge is hosted by Yvonne at Socrates' Book Reviews. Welcome to the seventh annual Cruisin' thru the Cozies Reading Challenge! I'm changing things up a bit this year. Sometimes we get hooked on one type of genre or sub-genre and don't venture out of our comfort zone. Maybe some only read culinary cozies, maybe some only animals or crafts. 5. If you do have a blog, take the button above, put it on your blog and post about the challenge. Then add your name to Mr. Linky here. Please use the link of your challenge post, not the link to your home page. 7. If you can't find or don't want to read a certain sub-genre, you can switch it out for another one of your choice. However, this can only be done one time. 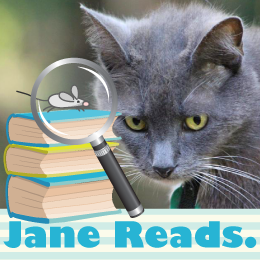 I signed up at the Sleuth Extraordinaire level, to read 40 cozy mysteries. I'll list my progress here.